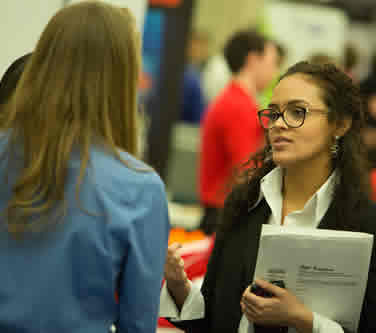 The Fall 2018 Industry Expo pairs engineering and computer science students with prospective employers. It will be held on Friday, September 28th from 10 a.m. to 2 p.m. at the Wisconsin Room in the UWM Union. UW-Milwaukee College of Engineering & Applied Science students can have a free LinkedIn photo taken from 11:30 a.m. to 1 p.m.